Heading back to school can be stressful. There are new books to buy. Every child seems to need classroom shoes, gym shoes, walking to school shoes and then there are the gym clothes, jeans and more! The list is endless but when you are a parent of a child with diabetes, the list is longer still. Thankfully there are a few basics to remember when sending your child with diabetes back to school. No matter where you live, you should always make sure that you have a meeting with school staff before your child heads back to school. If you live in an area that has 504 plans or any sort of diabetes care plans in place, this meeting can be where details are finalized. If you don’t have any sort of official plans in your district, a meeting with staff is still important. You want to meet with staff to discuss what they can expect when they have a child with diabetes in their school. While your child may not be their first child with diabetes, each child’s care needs are different. It is important that they understand your child’s individual treatment plan. At this meeting you will work together to establish roles. Carefully outline what do you expect from the teacher and the support staff. Make sure that they understand what they can expect from you. Finally, ensure that everyone knows what tasks your child can do on their own. You should also discuss things like, how will exams be handled? It is important that school staff understand that diabetes can cause cognitive impairment when the child is out of range. You also want to establish a method of communication. The school should understand that they can contact you and that you would like to be able to stay in touch with them. Working together will make the year go smoother for everyone. Click here for a few more ideas of what to take to this meeting. Depending on the age of the child, the list of supplies that you require can be different. A small child will require a change of clothes just in case he/she is high and has an accident in school. An older child may require access to a phone or cell phone to ask you questions about their care. Here are a few basic items that can be left in a backpack or put in a safe place at school. If your schedule allows, volunteer to be a part of activities at school. This will give you a chance to get to know school staff and they will learn a bit more about you. It will also allow you to discreetly keep an eye on your child’s care without them feeling different. For younger children, check to see if supports or nurses are available through your district. The school may be entitled to extra funding that would allow them to have one on one care for your child for all or part of the day. Make the year fun! Your child is a child first. Plan ahead with staff regarding things like parties, extra curricular activities, outings and exams so that your child gets the most out of their school year. For a guide to care policies in many Canadian schools please check out this link. 504 plan? Did you suggest a glucagon kit, too? With hypoglycemic unawareness and no cgms, some kids may need that and somebody trained to use it. People (parents, guardians and older students might create an advocacy group that works with other provincial groups to promote paid healthcare in the schools. Recently, Andrea Horwath (leader of the provincial Ontario NDP has asked to meet with people who face delays in getting healthcare. I have volunteered to talk with her. My husband and I have been told bluntly by our endocrinologist that if something were to happen to me no help would be available for him. (Both our adult children live a distance from us so cannot help us.) 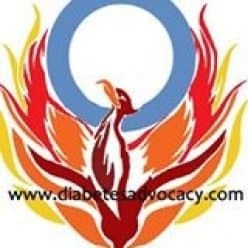 I think families with disabled or young children with type 1 diabetes should speak with her as well. I’d say what Newfoundland and Labrador almost 2 decades ago: eliminate denominational education and use the money saved to fund more personnel including PSWs or RPNs or even RNs in the schools to look after the many health risks of kids today. Eliminating the funding for R.C. schools in Ontario would not mean that R.C. private schools could be eliminated or that R.C. families could no longer go to mass. I would also hope that new public school would become inclusive institutions with no prejudice towards people of any religion and if the different religions wanted to fund after school religious activities, let them. Some others, make friends with the school nurse and principal secretary. The principal secretary runs the show and the school nurse will run your child’s healthcare. Both are important, and they are often treated poorly when they can be treated like well and many good things will come along.